If you live in an area that regularly experiences flooding or is at a high risk, then a diesel water pump from our extensive range is not only a vital piece of equipment, but a worthwhile investment. Our diesel powered water pumps are ideal for pumping both dirty and clean water. Flooding is becoming more common these days and any one of our diesel driven pumps will allow you to quickly and efficiently clean up should the weather take a turn for the worst. Whether you need one for a domestic or professional situation, our wide variety of diesel pumps for sale means you’ll have no problem finding the perfect product for your needs. What is the ideal diesel water pump for me? A mixture of diesel driven water pumps for both clean and dirty water are all included in our selection. We have the ideal product for every problem or job you may have: from diesel water pumps for irrigation, emptying a pond or cleaning up flood water, you’ll find exactly what you’re looking for in the SGS Engineering collection. Whether you need a large or small diesel water pump, we have models from the best suppliers and manufacturers such as Hyundai, meaning that all our products are reliable, top quality and high-performing. The powerful engine and large pumping capacities mean they can do all manner of jobs in a fast and efficient manner. How can I order my diesel water pump online today? Browse the selection available and find a diesel water pump for sale that perfectly matches your needs. Our collection includes everything from a diesel submersible pump for clean or dirty water to accessories such as 2” and 3” water pump hoses and more. A hassle-free, 60-day returns policy is attached to all products. Take a look online and order your new diesel water pump from SGS today. 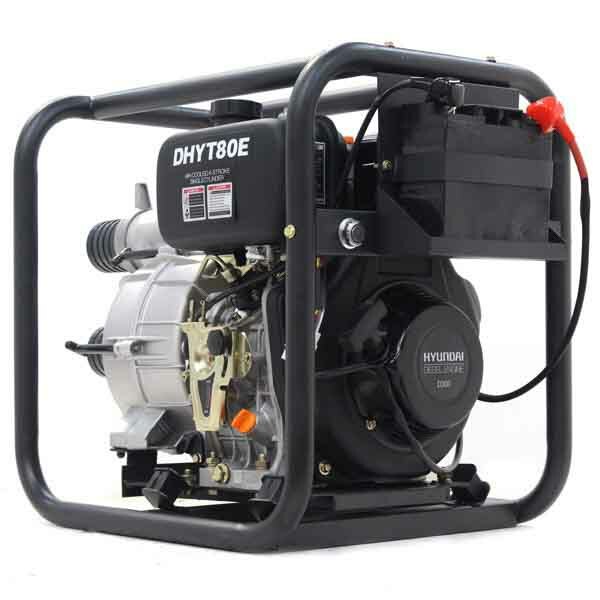 When looking for a small dirty water pump or any kind of outdoor equipment, it can be difficult to know precisely which model suits the task that you have in mind. At SGS, we are committed to ensuring that you have all the information you need to make a purchase and have prepared several how-to and buying guides to help you on your way. Want to know how a leaf blower can help make ease of mundane tasks in your garden? We show you how with our online guide. If you’re a novice gardener, this guide will help get you started with the best and most effective tools for maintaining your outdoor space. What’s the most versatile garden tool? We’d argue that it’s a strimmer, and you can read this guide to find out about the jobs it can undertake. Chainsaws are truly impressive when they’re in full flow, but setting them up and getting them started can be difficult. Read this guide to find out more.